The table below shows the number of invitations issued in the SkillSelect invitation round on 17 August 2016. The above figures do not include invitations issued for State and Territory Government nominated visa subclasses. State and Territory Governments nominate throughout the month for specific points tested skilled migration and business innovation and investment visas. Separate results for these visa subclasses are provided monthly. The following graph shows the points for clients who were invited to apply in the 17 August 2016 round. The highest ranked clients by points score are invited to apply for the relevant visa. 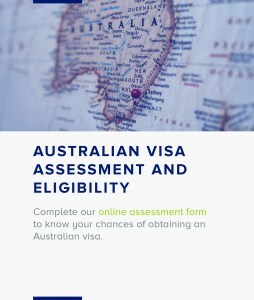 For clients who have equal points scores, the time at which they reached their points score for that subclass (referred to as the visa date of effect) determines their order of invitation. Expressions of Interest with earlier dates of effect are invited before later dates. Due to high levels of demand, and in keeping with previous years, the below occupation groups will be subject to pro rata arrangements to ensure availability of invitations across the programme year. 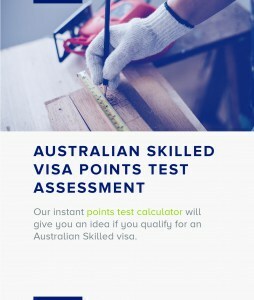 SkillSelect first allocates available places to Skilled – Independent visas (subclass 189) and then remaining to Skilled – Regional (Provisional) visas (subclass 489). If all places are taken up by subclass 189 visas then there will be no invitations issued for subclass 489 visas in these occupations. Points scores and the visa dates of effect cut off for the below occupations in the 17 August 2016 invitation round. Balance of family test What is an Assurance of Support?